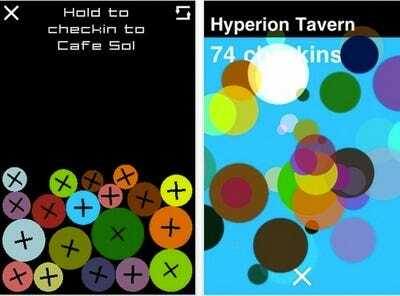 In this week’s bipolar app roundup:Foursquare, squared! Slow ISPs, tattled on! Videos, easily streamed! Street Fighter fans’ high standards, met! Your entire life, documented! Your every plan, shared! If you've never used Foursquare, here's how it works: Whenever you go somewhere, like a restaurant or a hot dog cart, or hell, your friend's apartment, you check in. 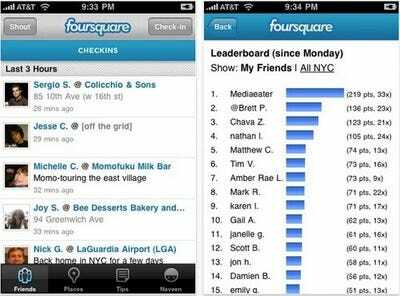 Your Foursquare friends can then see where you've gone, and vice versa. You can even become the Mayor of a place by going there enough! It's weird. It's aggressively internet-y. And now, it looks different: the app's been redesigned to be, in my mind, a bit more sensible. Your friends' activity is now displayed in a more feed-like way, and the whole app just feels… different. Except this time, your local check-in options are displayed as pretty--though not entirely practical--visualizations. It might not be apparent to new Foursquare users, but serious addicts will understand the value of a little variety in their relentless check-in routines. 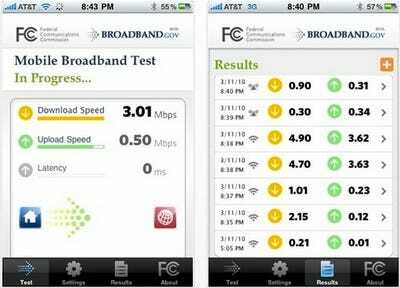 Do your part to let the FCC understand the state of broadband in the US, while also testing your bandwidth on whatever connection your connected to at the time. Will it result in crackdowns on exaggerated broadband advertising claims? Probably not, but it can't hurt. 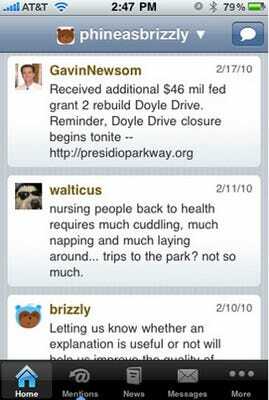 Brizzly ate Birdfeed, which was one of the prettiest, slickest iPhone Twitter apps available. The bad news is, Brizzly isn't as visually striking as Birdfeed was, nor is it as fluid to use. The good news is, it's still a great Twitter app, and it's free. Free! Birdfeed used to be, like, five dollars, so this is great news for everyone except diehard Tweetie fans. Grabs, records and archives little scraps of information from pretty much any source. Photos get tagged and saved. 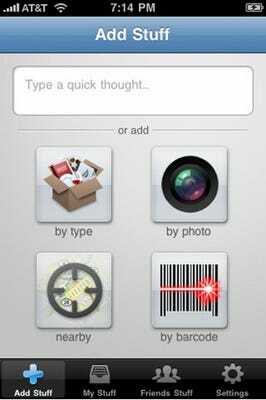 Bar codes get scanned. Notes get taken and filed. Locations get memorized. 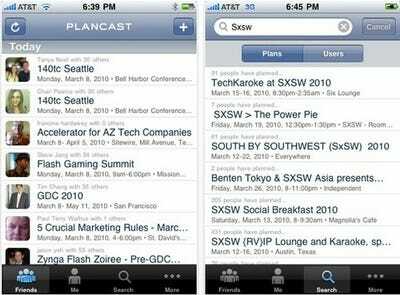 It's like a scrapbook for everything, or like Evernote, with broader ambitions. 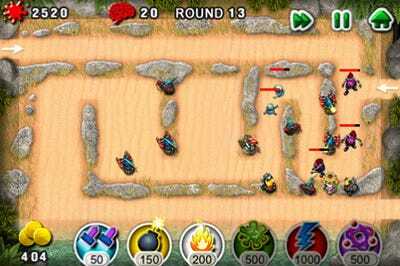 So, what you've got here is a solidly entertaining tower defence game, with a nice little twist: Twitter integration! Not spammy LET'S PLAY THIS GAME TOGETHER AND BUY SOME APPS Twitter integration, but a more subtle type: Your Twitter stats, like your number of followers and tweets, help make your weapons more powerful. Not the newest app, but man, this thing is basically magical. I downloaded the Air Video server software to my first-generation unibody MacBook Pro, pointed it at a local folder full of video, and activated it. (It's also available for Windows.) Then I opened up the Air Video iPhone app to find a simple directory listing. Within about three minutes from first discovering Air Video I was watching a 720p episode of a television program on my iPhone, streaming over my local Wi-Fi network. It even works over 3G. And all for $3. 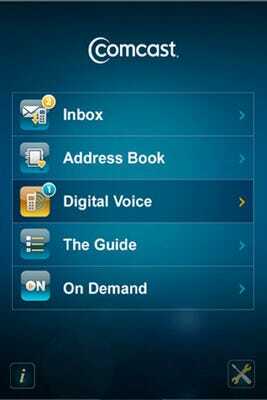 Comcast's branded app now lets customers in some markets schedule their DVRs from their iPhones. That's DVRs plural. It's a gorgeous port of Street Fighter IV, from flaming dragon punches-when you can pull them off-to ultra moves, which retain the quick cut scene close-up as a prelude to beating the unholy crap out of your opponent, to the booming, overly enthusiastic announcer that no Capcom fighting game is complete without. If you remember the days of Mortal Kombat on the Game Boy, it's kind of awe-inspiring how richly they've translated the audio and visual experience, even if the framerates do get a little choppy on anything pre-3GS. 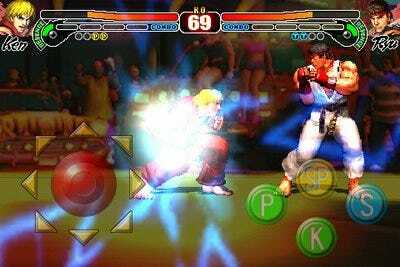 You have a sparse selection of buttons, at first glance, just four onscreen, plus the virtual joystick: punch, kick, special attack (which can be used for fully automatic specials, or just be the button you tap after performing the full movement for EX specials), and saving, which is used for focus attacks and counters. What you didn't know is that the ultra and super meters are buttons themselves, which you can tap to unleash ultimate destruction, if your meter's filled. Truthfully, this layout is as good it could get. So, they're fine. $10 is reasonable, if you're a SF fan. If not, it's probably a bit steep. This one isn't up for download yet -- in fact, the only proof we have of its existence is this blurry shot posted on Tony Hawk's Posterous -- but the iPhone really, really needs another decent skateboarding game. Like Foursquare, except instead of broadcasting your location to people, you're broadcasting your plans, which is sharey and modern and all, sure, but it's also practical. (!!!) Free.